Story: Academy Award-winning director Mike Nichols follows the triumphant "Angels in America" with Closer. 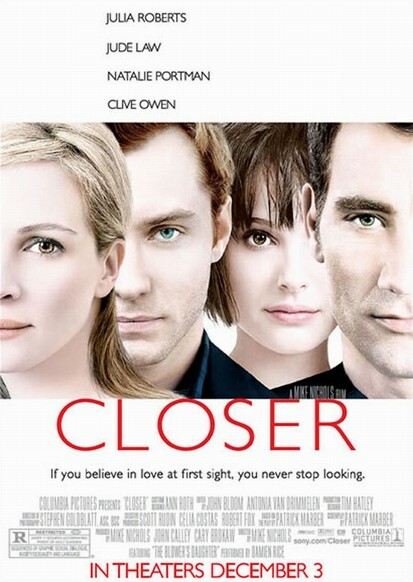 A bitingly funny and honest look at modern relationships, Closer is the story of four strangers (Julia Roberts, Jude Law, Natalie Portman and Clive Owen) - their chance meetings, instant attractions and casual betrayals. Set in contemporary London, Closer is funny and powerful, and reminiscent of such Nichols' classics as Who's Afraid of Virginia Woolf and The Graduate.